This movie explores a month in the lives of high school students. A substitute teacher has what it takes to teach students about life as well as education. He avoids all of this because he doesn't want to bring in the emotions associated with the students and other teachers, so he remains detached until he gets a job at a school that needs help. 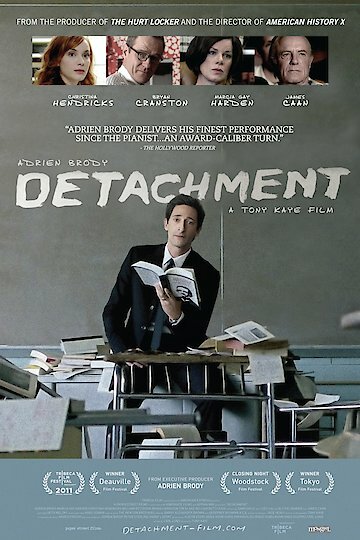 Detachment is currently available to watch free on Vudu Free and stream, download, buy on demand at Amazon, Vudu, Google Play, iTunes, YouTube VOD online.